School Social Workers and a group of students at Los Arboles added a new Buddy Bench on April 12th! 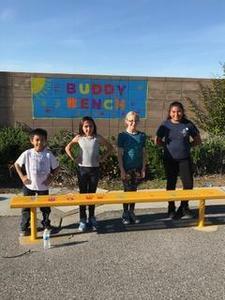 The Buddy Bench allows students to foster new and old friendships as well as eliminate loneliness. The students are encouraged to have a plan of what they want to do before recess. Additionally, they can go up to another student and ask if they would like to play. 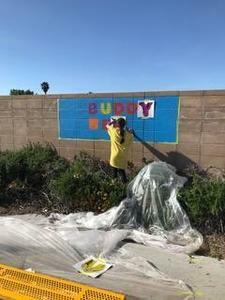 Students can use the Buddy Bench to rest and think about their next activity. While on the bench, they can look around to see if they can join in on an existing activity, if they can, they get off the bench and go play! 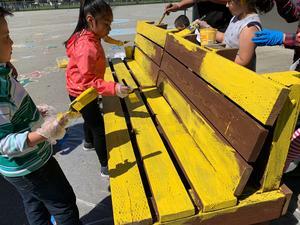 If students in the school see someone sitting on the bench, they are encouraged to invite them off the bench to go and play with them. The student on the bench should say “Yes” to the friend who invites them. They are encouraged to keep inviting that friend to play to continue to build friendships! If two students are sitting on the bench, one student can turn to another student and ask that student to play. 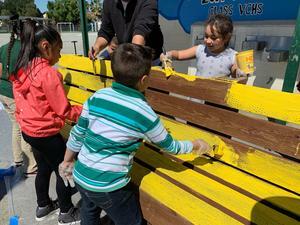 Buddy Benches are being implemented at Ramblewood Elementary and Los Arboles Elementary.